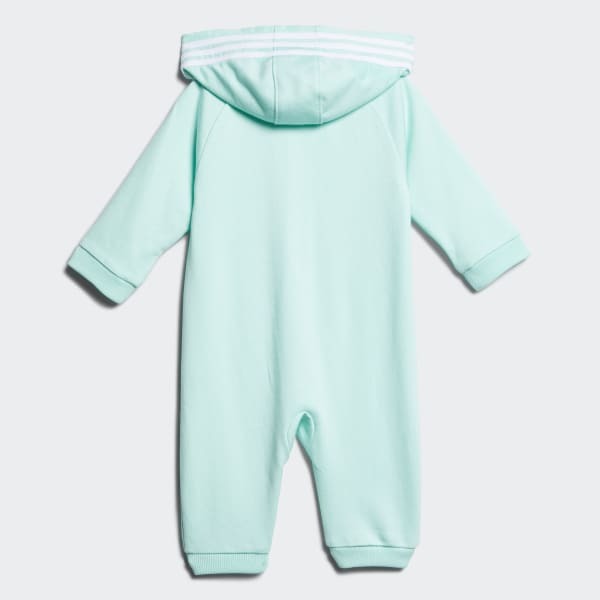 Your little one will stay cozy and warm in these toddler girls' comfy coverall onesie. It has a hood for extra coverage as well as kangaroo pockets. The all-cotton French terry is soft to the touch.